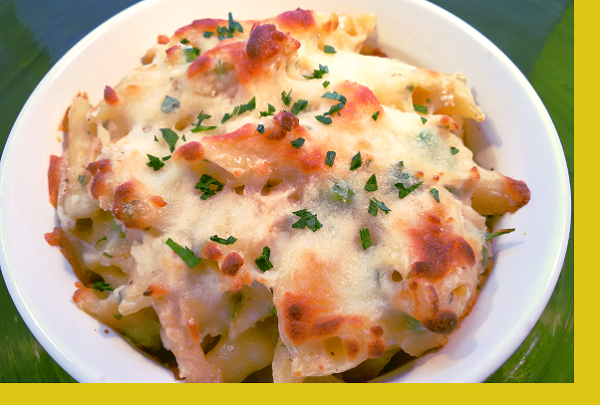 Tender pieces of white meat chicken together with penne pasta in a cheesy roux topped with mozzarella. 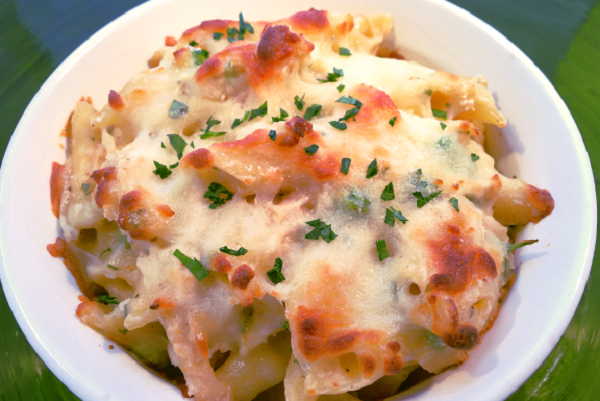 A baked pasta dish that screams comfort food and is ever so easy for a weeknight dinner. Preheat oven to 350F. Bake for about 20-25 minutes or until golden brown. We enjoyed the baked chicken penne last night and loved it. I would strongly recommend it to anyone that wants a quick and delicious meal! This meal has turned out to be one of our favorites. The shreaded chicken was seasoned to perfection. This is another pasta dish of my favor. The delicious, white sauce topped with mozzarella cheese, makes your pallet so happy. Delicious, easy and quick to prepare. Best I've had. Order extra because two servings is only enough for one person it's that good. LOL.Had a slight kick which I loved. This is so easy to prepare just pop in the oven, great taste, we all loved It! Would like to see more casserole dishes. This was a delicious dish and very easy to prepare. One of the best! !